Reebok JJ II Reviewed - To Buy or Not in Apr 2019? Reebok has been a staple in athletic shoes for well over 100 years. In fact, it’s hard to come across an NFL or NBA player that isn’t endorsed by this powerhouse shoe producer. Following the success of the JJ I line, Reebok and J.J. Watts have collaborated yet again to produce the Reebok JJ II. This “Everyday Speed” edition is a men’s trainer built for precision on and off the field. Notable updates from the JJ I include the removal of the heel tab and heel stabilizer. A distinct change in lug design, added webbing to the laces, and a lower-cut collar round out the all-new look of the JJ IIs. The Reebok JJ II's LiquidFoam ¾ length midsole provides stability and a comfortable amount of heel/midfoot cushion to counter high impact workouts. The LiquidFoam midsole in Watt's shoe appears to be the first individually customized midsole release in the Reebok Future team's Liquid Factory line. “Footwear manufacturing hasn't dramatically changed over the last 30 years. Every shoe, from every brand, is created using molds - an expensive, time-consuming process. With Liquid Factory, we wanted to fundamentally change the way that shoes are made, creating a new method to manufacture shoes without molds. This opens up brand new possibilities both for what we can create and the speed with which we can create it.” This new process involves an incredibly rad 3-D printing method for the outsole, but the midsoles appear to be pretty standard in comparison. No official confirmation on whether or not these midsoles are made with EVA or PU foam. Reebok claims it's constructed from "a high-energy liquid material." 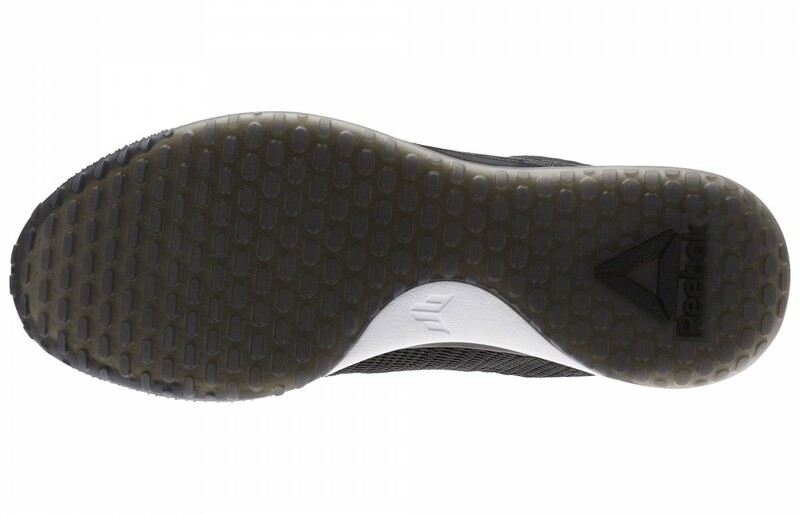 The JJ2's Liquid Factory outsole is constructed from high-performance rubber. Although the Reebok JJ IIs aren't anywhere near as flashy as their limited edition Liquid Speed counterparts, you can expect these outsoles to not only hold up under your workouts but to also leave your floors scuff-free. JJ 2 shoes are unique in that they are on of the premier shoes to extend the outsole so that it wraps the foot. This provides a more even pressure distribution for precise takeoffs and landings. A delicate yet highly durable pattern of graded lugs can be found on the tread. This makes the Reebok JJ IIs most responsive on synthetic turf and the locker room floor. The unique “Focus” of the Reebok JJ II's allude to"Watt’s unbreakable focus on the field and in the gym". The uppers of the Reebok JJ IIs, like the JJ I line, also feature Lenoweave. Lenoweave is a cutting-edge durable woven synthetic that's stiffer than leather but is still able to retain more flexibility than you might expect from what looks like plastic at first glance. The no-sew design wraps the foot to offer firm midfoot support. This is critical for CrossFit enthusiasts, long-distance runners, and anyone who must spend long periods of time standing as the metatarsals are one of the first muscles to experience pain and fatigue. However, some wearers with sensitive insteps may find the degree of support offered excessively. Reebok JJ2s ship at approximately 3 pounds. However, because of the lightweight materials used in construction, this minimalist shoe shouldn't feel cumbersome in the slightest. After all, if anyone understands that it's an athlete's job to move, it's J.J. Watts! Thanks to their LenoWeave uppers (and Watts' experience training in hot and humid Houston climate) the Reebok JJ II's have been designed to be highly breathable regardless of how hot it gets during the game. Constructed by basketweaving synthetic fibers, LenoWeave is looser, yet stronger than the other mesh some shoes offer. Plus, with their minimal use of textile lining, these shoes are exceptionally breathable. I'd anticipate seeing them become a favorite for tempo/threshold runs, CrossFit enthusiasts, weekend joggers, service industry workers and high school athletes for their hygienic structure and (relative) affordability. Thankfully, after working in the service industry for nearly ten years and being a weekend jogger, I've learned that preventing sweaty feet also means preventing injury, infection, fungus and a slew of other health issues. 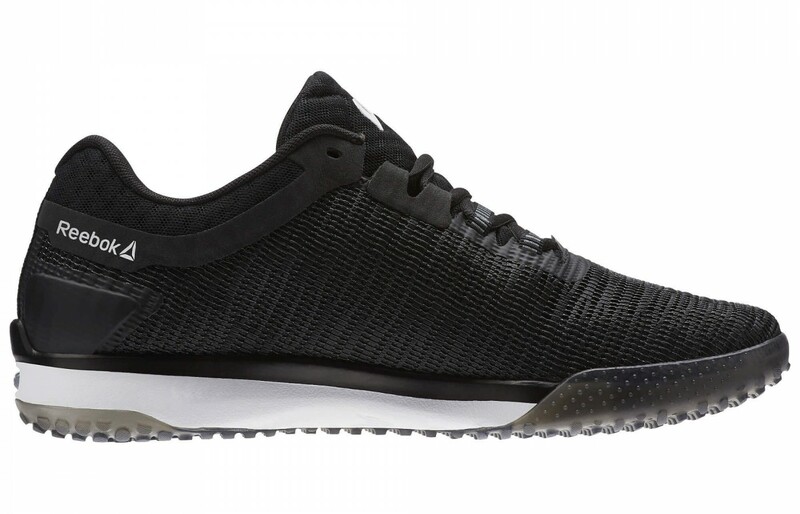 At first glance (especially in the signature Focus Black) you might think that the Reebok JJ2's are fairly minimalist. And sure, they won't give you that walking-on-clouds feeling that a highly cushioned trainer might. Still, when used as your foot's support during high-impact workouts, these shoes stand up to the challenge. If you're not an extreme forefoot striker (or are just looking for a versatile daily wear shoe), you'll find more than adequate cushion in these high-tech trainers during your Crossfit, Zumba, or daily gym workout. LenoWeave seems to have had a slight update from the JJ Is, adopting a rougher and slightly chunkier yarn. Used in combination with a fine mesh lining, these features of the JJ IIs help to protect your feet from road hazards like gravel, pebbles, and dirt. The glovelike design of the instep and a thin tongue give the Reebok JJ II's a sleek, polished look. If you're looking at the JJ2s as a fashion sneaker, a few welcome options (including Red Magma/Primal Red/Black/Gum and Coal/Flint Grey) have recently been offered as exceptions to the standard Black/Alloy/White and Chalk/Coal/Gum/White colorways. This attention to design ensures that JJ IIs stand out regardless of where they're worn. Because this shoe uses LenoWeave (instead of a standard knit or leather overlay) there's no stitching along the vamp, mudguard, or quarter panels. 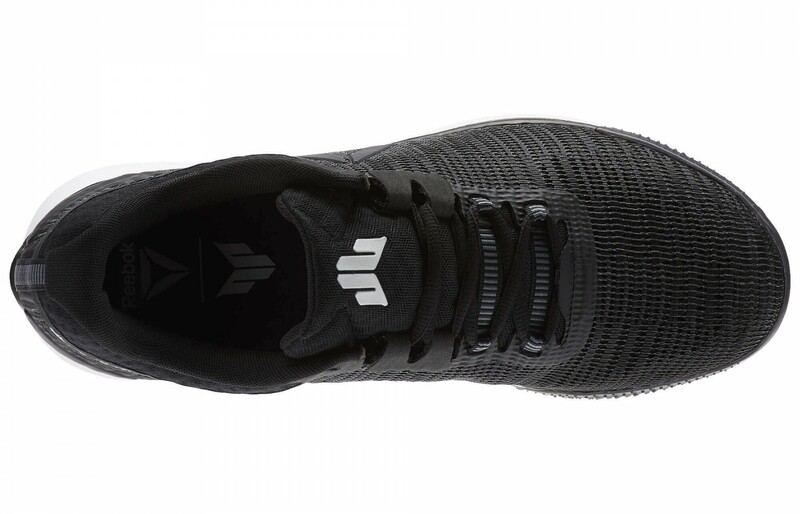 This "no-sew" technology makes for a wonderfully durable shoe that can hold up under your training regimen whether you run, do CrossFit, weightlift, or just have a similar body build to J.J. Watt. Since these shoes come with the backing of the NFL, there truly shouldn't be much that could cause these to wear too inconveniently. Though, some runners have noted that the outsole on the toe roll is the first to go. JJ2's aren't primarily designed to offer protection from brush and debris, however, LenoWeave is exceptionally strong. With its webbed lacing system and high-quality synthetic fibers, you can expect this shoe to protect against gravel, dirt, and concrete reliably. In addition, because of their support system, JJ2's may also be a good choice for preventing plantar fasciitis. Because the Reebok JJ II's are made from lightweight synthetics, boast a low-slung collar, and have snug midfoot support, they're highly responsive. In fact, they stand to be a great choice for mild over-pronators and those of us with high arches because of these very same qualities. Supported by LenoWeave fabric and a webbed lacing system similar to the ASICS Gel Nimbus, this shoe provides phenomenal midfoot support. Moreover, the unique Flexcage system (an extension of the midsole itself) ensures an even distribution of tension across the foot while also providing stability and support. Reebok JJ II shoes are well suited for cross-training, lifting weights, and running on the track or field. The JJ 2s are not designed for loose terrain, hiking, or crossing water. Reebok JJ II can be had for a reasonable price. They fall squarely in the mid-range of most training shoes. With a high-quality rubber sole and graded lugs, Reebok JJ 2 shoes provide traction suitable for weight training, running, and sprints alike. The LenoWeave knit on the uppers of the Reebok JJ IIs, much like the kevlar found on the Nano 7.0, offers more in the way of durability than flexibility. Still, LenoWeave provides enough flex to respond to the foot quickly while advanced the Flexcage frame offers excellent, even distributed, support. 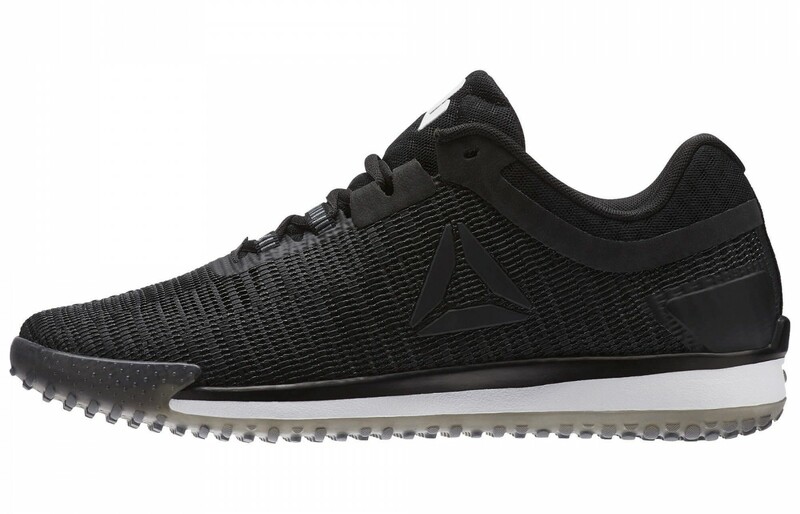 The Reebok JJ2's LiquidFoam midsole and intense new Flexcage frame construction process offer a level of stability rarely seen in shoes that are priced reasonably enough for daily wear. Support pillars constructed into the aesthetic and chemical makeup of the JJ IIs offers a highly stable landing area for weight training, sprinting, and CrossFit activities. The Reebok JJ II line has a slightly higher drop than minimalist trainers (7mm). But with its 3/4 length midsole, this shoe is overwhelmingly designed to keep a runner on their toes while reducing the level of impact and shock of what you'd consider a standard maximalist running shoe. Reebok JJ2s are high performing, durable trainers that offer outstanding midfoot support. 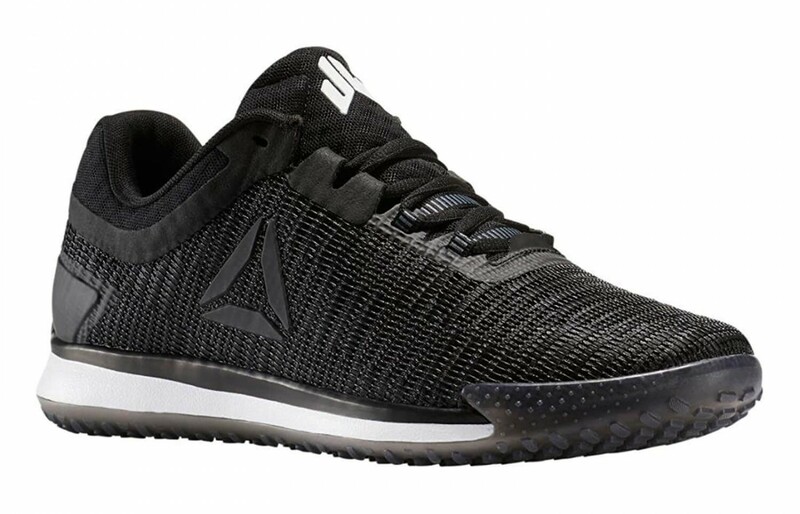 Made with some of the same technologies and specifications as the Nano line, this shoe is sure to be a hit with CrossFit enthusiasts and those who strength train their way to better run times. J.J. Watt's input on this breakthrough 3-D method of shoe construction is more than welcome as the most intense work of the football season draws to a close. As these elite athletes already know; training season presents the perfect window of opportunity to refine the science of your goals.